I have blogged twice in the past about the remarkable story of Holocaust survivor Leslie Schwartz here and here. A reader of my blog, Marc Bonagura, who has his own blog Talking Weeds made a comment on my blog and provided a link to his blog. This blog post on Talking Weeds is also about Leslie Schwartz. Leslie Schwartz was born in 1930 in a small village in Hungary that had a population which was one third Jewish, mostly Hasidic or Orthodox Jews. In 1943, when the Germans came into Hungary, the Jews were deprived of their Hungarian citizenship; at the age of 13, Leslie was sent, along with the rest of his family, to the Ukraine. 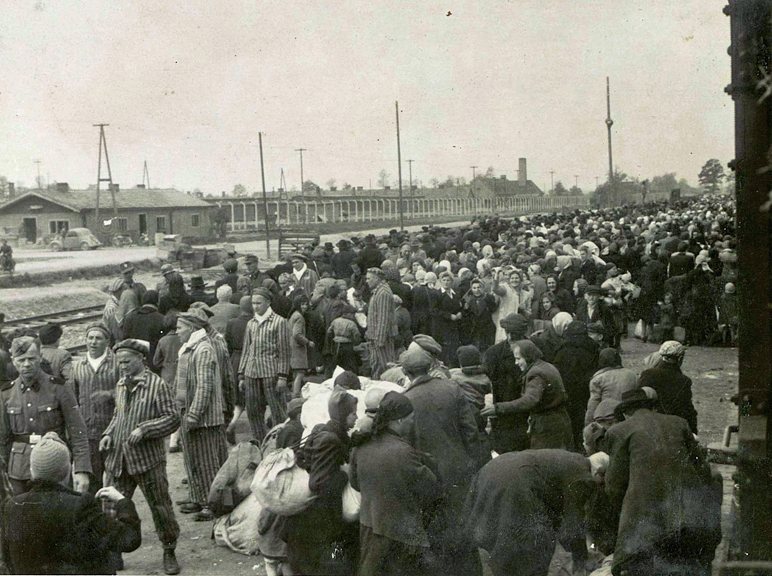 In 1944, they were brought back and sent to a ghetto in Hungary, from which they were transported in May 1944 to Auschwitz in cattle cars.